How to pay for Kenya Copyright Board Registration of Works via M-pesa. Home Business How to pay for Kenya Copyright Board Registration of Works via M-pesa. The Kenya Copyright Board (KECOBO) is a State Corporation under the Office of the Attorney General & the Department of Justice. It was established by section 3 of the Copyright Act 2001 and mandated with the administration and enforcement of copyright and related rights. The Board is responsible for organizing legislation on copyright and related rights; conducting training programmes on copyright and related rights; enlightening and informing the public on matters related to copyright; licensing and supervising the activities of collective management societies; and maintaining an effective databank on authors and their works. 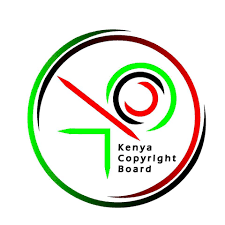 The Kenya Copyright Board is comprised of members drawn from both the public and private sectors. The members from the private sector are nominated by associations representing software, producers of sound recordings, publishers, film distributors, performers, broadcasting stations, musicians and the audio-visual industry. There are four experts on copyright and related rights and five members who are alternates to the Attorney General, (Police Inspector General), Permanent Secretary – Ministry of Information, Permanent Secretary – Ministry of Sports, Culture and Arts, and the Permanent Secretary – Ministry of Finance. Enter account number: To pay for the Registration fee: TYPE R/TITLE OF COPYRIGHT WORK. How to get Telkom Mzito data bundles.